Well, in this new Top Tens post, we are listing the 30 most inspirational and impacting Switchfoot songs ever. 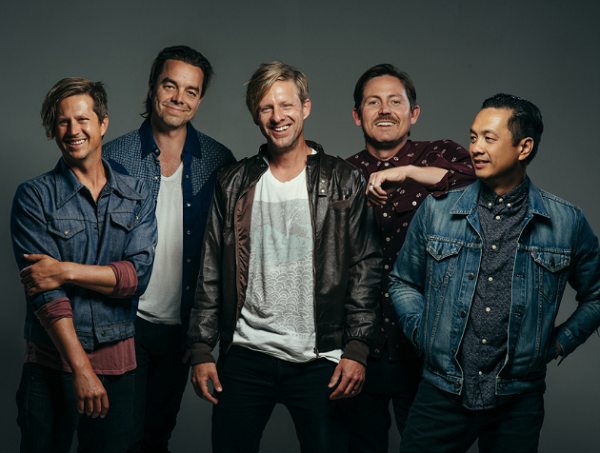 It’s no secret that Switchfoot are one of our favourite bands ever- just take one look at their singles and their discography, and you’ll know why they’re one of a kind. So I guess you could say that we became sad and maybe shocked and stunned when lead singer Jon Foreman and band members Tim Foreman, Drew Shirley, Jerome Fontamillas and Chad Butler announced an indefinite hiatus at the end of last year. It was very newsworthy, enough to be put in a separate post on our site, and not just a retweet. I mean they could have been like the next dc Talk- forever on hiatus but really split up until…I don’t know when. But for one reason or another we never posted about it, or at least our own thoughts and opinion about it. We always thought that they’d ‘reunite’ very soon- but the thought never crossed our mind about what would happen if they did split. Thankfully the split wasn’t permanent, and in a special video uploaded last week, Jon outlined that the band was back. So, in preparation for their big date of October 19th 2018 (where they will most likely release a brand new single! ), below are 30 videos that I reckon showcase the best of Switchfoot (and could make a near flawless best of album, if it were to be released now! )- and these songs are in our opinion, 30 songs from the band that are the most impacting ever. Take a look/listen and enjoy. And remember- just because we don’t post the news, doesn’t mean we don’t care about up to date music news. Check out our twitter page for up to date music news, as well as our healthy competition Jesus Freak Hideout (whom I reckon does the best up to date music news- who can compete with that?)! Which Switchfoot song speaks to you the most? Are you excited for October 19th, when a there’s a release of…some big news, and perhaps a brand new single? Let us know in the comments below!